held in Milwaukee, WI in July–August 2012. The identity was designed to reflect the clean digitally designed letterforms (gray) and ornate decorative typefaces (in yellow) that reflect the history of the city and the architecture. 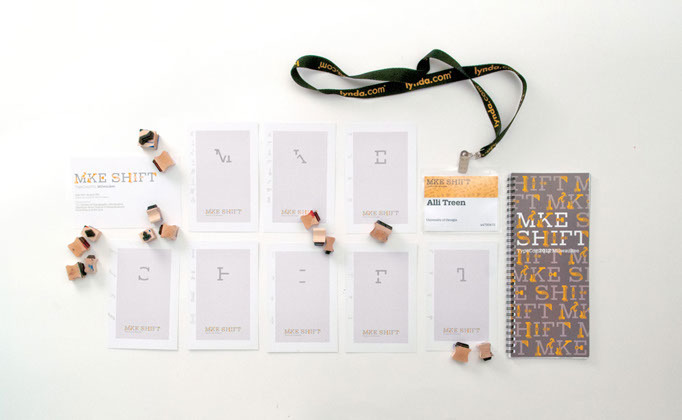 with key pieces of information including conference location, tagline rationale, TypeCon Visual Identity traditions, and typeface considerations. 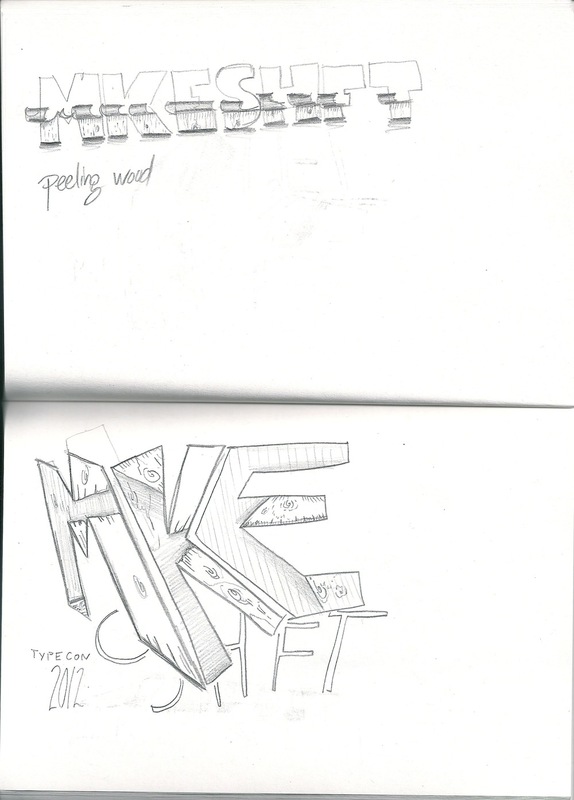 on the city, wood type, and creating pencil sketches to generate as many unique concepts to present to the board. Then one amazing thing happened. Someone saw the potential in this very very ugly digital comp that changed everything. Over the months, we continued working on multiple concepts. But this initial idea was conceptually the strongest and most engaging for the design community and the location where the conference was held. The system combining new digital type with old wood type influences allowed us to create fun interchangeable pieces that became interactive experiences for the attendees of TypeCon2012: MKE SHIFT. 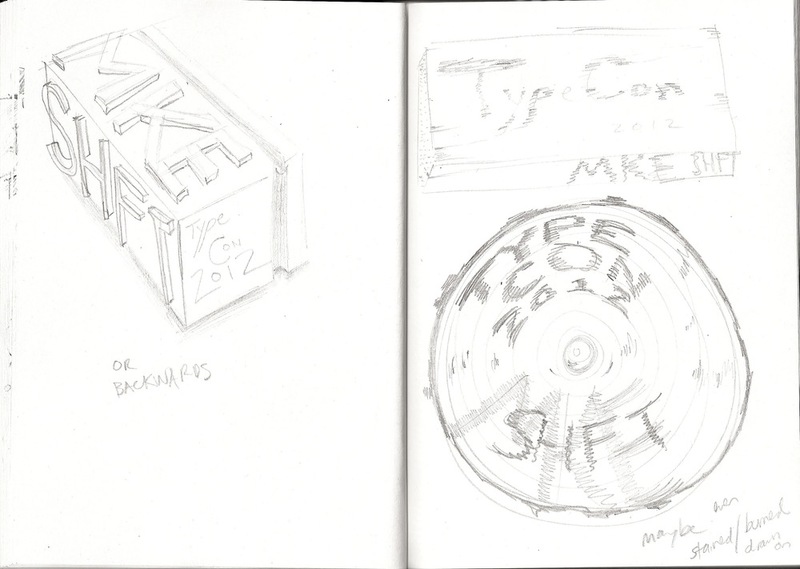 "A Look at The TypeCon2012 MKE Shift Identity"